2019 Planner / diary with exclusive design. 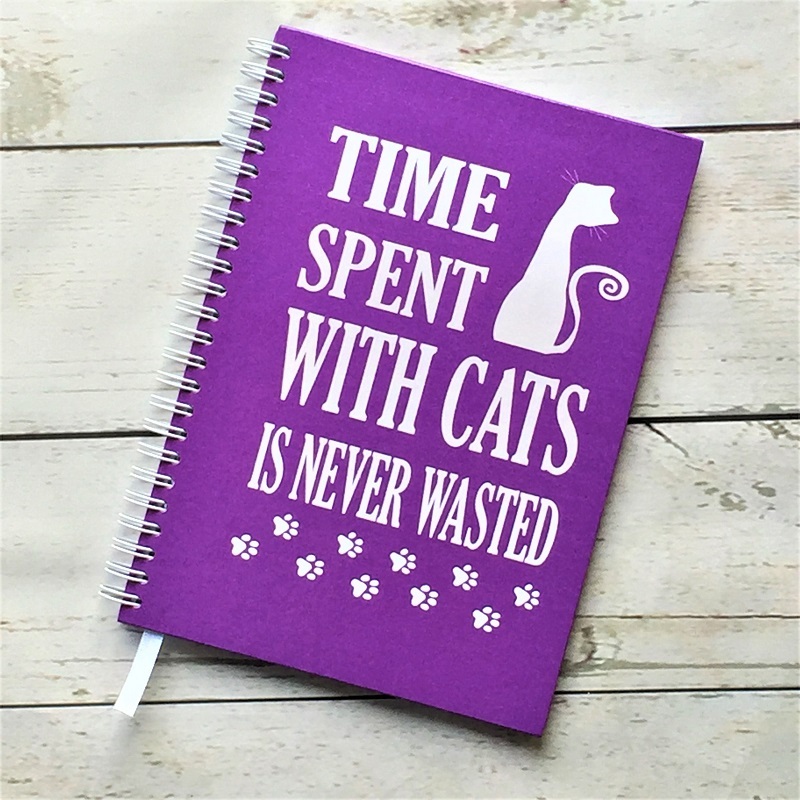 Found in the November Plan Ahead box, this planner has the famous Sigmund Freud quote Time with Cats Is Never Wasted and custom MEOW feature on each page. Features a hardback cover and wire binding so they lay open flat. 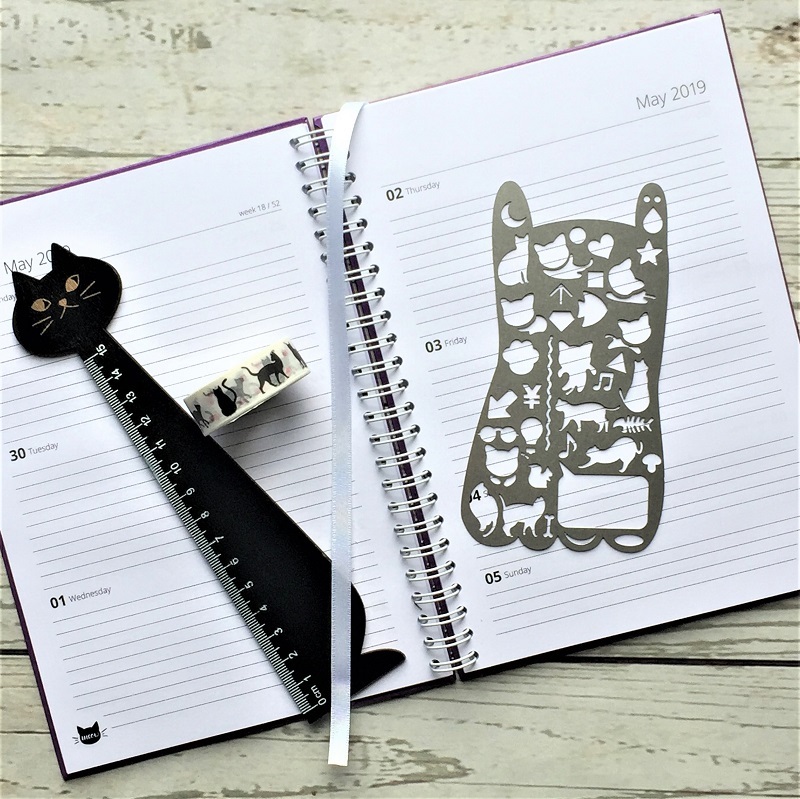 Planner comes in My Purrfect Gift Box purple!